Today we are talking Door Hanger Marketing and how this is still a dominate way to grow your customer base. 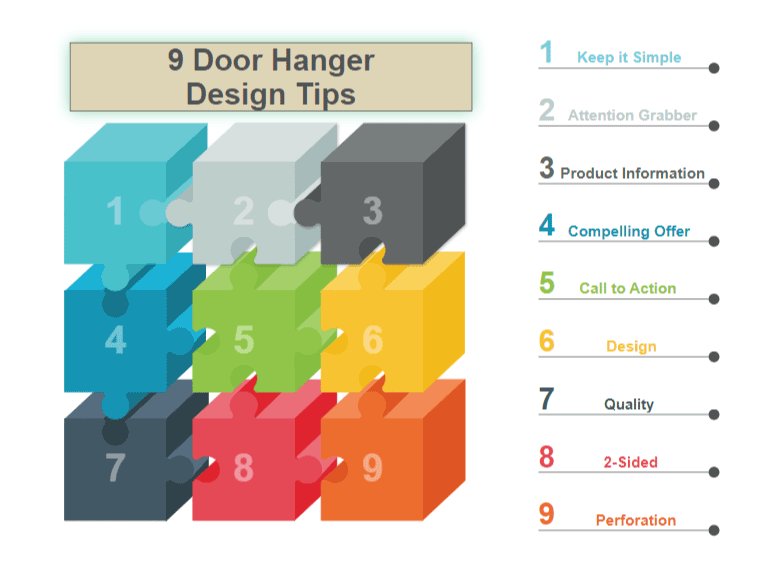 And you’ll learn tips on how to efficiently design and implement door hangers for many types of service industries. Let’s jump into this topic! Door hangers are one of the oldest and most successful forms of direct marketing for service companies. The primary reason they are so successful is your customer must handle them to remove the door hanger from their front door. So to grab a prospect’s attention, the design and language of your door hanger is important to winning this type of sale. 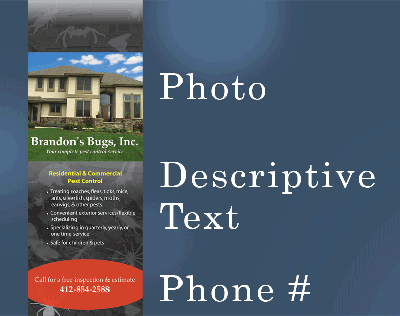 Door hangers can be used in a variety of ways for marketing and advertising. Letting neighbors of a customer know you’ve done business in the area provides a trustworthy reputation especially if they know that customer. This can create a word of mouth a buzz that brings in the business. Because neighbors can see the finished product, lawn care businesses benefit most from this. As it turns out, pairing this with a lawn posting sign can make that prospect more likely to inquire about services with a higher success rate to make the sale. Or just simply developing your brand locally by informing the area that you are open for business. Sometimes those new customers need a reminder to have a service done or move from their current company for that service. Most importantly, you must incorporate a “Thank You” to your customer for the service you provided. This shows you value their business and builds the relationship with the customer. When that trustworthy environment is established you have the opportunity to up-sell any other services you provide. A potential customer is typically looking for something specific. When they find your website, they might ignore any other products or services you have to get to their need. A door hanger reminds them with that they might not have seen when they first bought into your services. Landscaping companies can benefit from this. Let’s say the main focus at first was to add mulch to their client’s flowerbeds and underneath trees. Then a custom door hanger, along with the appreciation factor, could indicate that they do built-in backyard grill areas. Similar to finding new customers you are trying to create brand awareness from scratch or slowly building a specific geographical area. 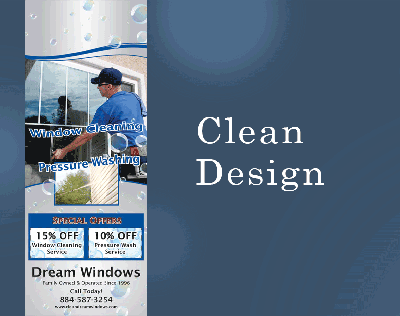 You might already have an email campaign in place to send alerts to your customers but if you’re a window cleaning business, a door hanger might have better conversions. So directly going out to your customer base and notifying them that you’ve added power washing to your business can have the ROI numbers you are after. Sometimes Email just isn’t the best option. A door doesn’t have multiple knobs with labels like spam and promotion so you aren’t competing for the customers attention. Investing in a Google Ad campaign doesn’t guarantee results and it becomes a gamble. A budget is always on the mind of a small business. So a door hanger is a small investment to get a coupon in front of current or potential customers. Also, coupons or promotions are time sensitive as you don’t want to hurt your margins for an extended period of time. So getting the deal to customers and viewed is best if you deliver it to their home. If you have a service done during your work day, what do you typically come home to? Yup, that’s right, AN INVOICE! Although this is the trade off for having a job performed, you prefer a better experience. Because we lean towards the digital side of things in 2019, customers will likely be adaptive to the following method. First, leave a door hanger with a thank you and details of what job was performed that day. Then at the bottom include a statement that informs them that the invoice is being emailed or to go online to pay the bill. This little extra step before getting your compensation can go a long way by creating that positive association with your business when they look for services down the road. You get the biggest bang for your buck with door hanger marketing because you can target specific geographical areas, demographics, and specific needs of your target audience. 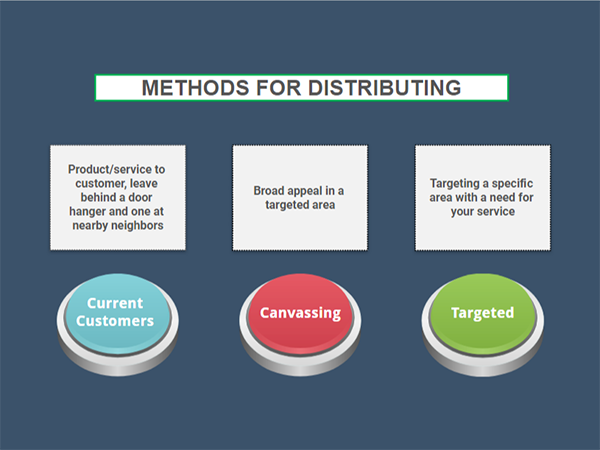 We talked about how you can target an area of potential customers going up and down the streets of a neighborhood. Also by taking a current customer and trying to spread the word of mouth of your services. We know that people use Google to address a need. Your business along with competitors are then shown. By taking the initiative can not only address what a customer might need but maybe something that didn’t really know what a problem. This marketing method is intended for outdoor services. For example, if you are painting houses, you can hang door hangers on the homes that need to be painted. Don’t bog down your door hanger with too much verbiage and imagery; keep it simple. Your goal is to attract immediate attention and move the prospect’s eyes toward a solution to their problem and a call to action. Keep in mind that you only have seconds to grab your prospect’s attention. Create a headline and/or image that has stopping power. Incorporate your number one benefit into the headline and fuse your image to support the headline. Your goal is to entice the prospect to read further. Good copy has been proven to sell, so don’t be afraid to take the time to make yours great. Devote your copy to explain benefits. If the product is complicated, explain the features in as simple of language as possible. 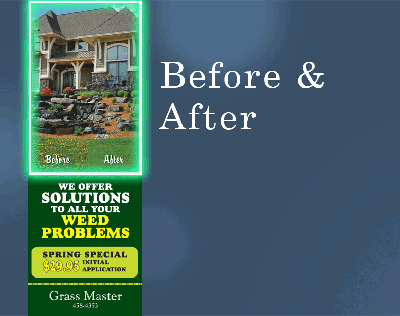 You will have a far greater return on your lawn care door hanger marketing and advertising when you have a call to action. 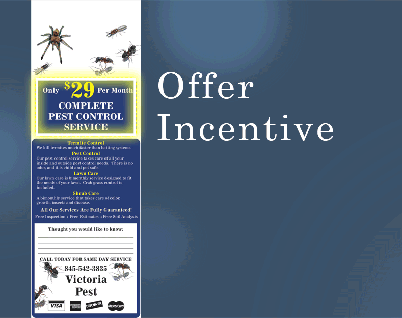 Discounts, coupons, and other incentives with a limited time offer work best. 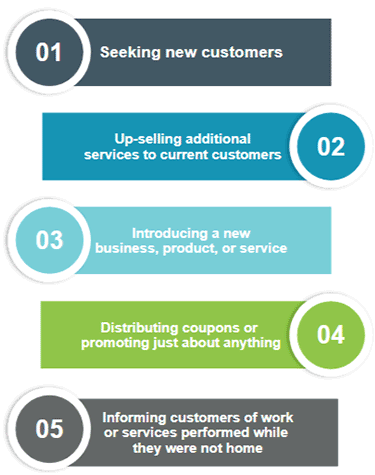 For examples check out 11 Sales Boosting Ideas that includes incentives and coupons. Make sure the call to action is very prominent. It is best to use a combination of methods such as phone, website, return postcard, etc. Be sure to have a qualified person answering the phone and promptly responding to web inquiries. A pleasing design to the eye will allow your prospect to check out the information you have provided. 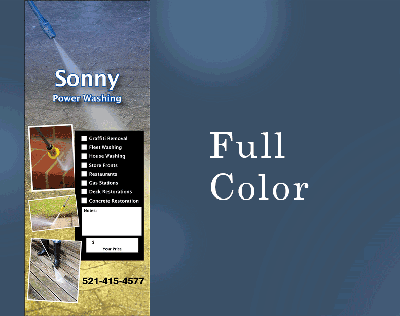 Having a full color door hanger on quality gloss paper stock will increase consumer confidence that you are a quality company with whom to deal. Increasing quality, increases credibility. 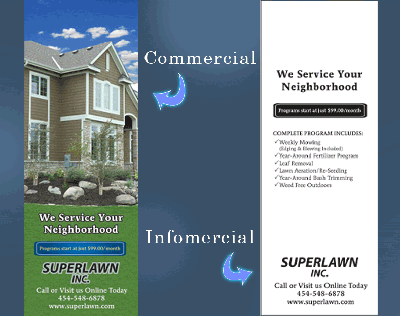 Use the back side of your lawn care door hanger as valuable advertising real estate to further explain your services. If the front side of the door hanger is your commercial, the back side should be the “info-commercial“. 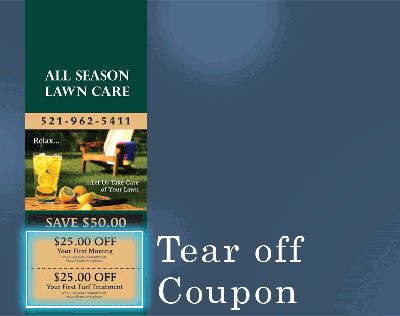 Use perforation to create a tear off coupon, reply card, or business card. This will make it easier for your customers to keep your information hanging around. Now that you have created the perfect door hanger, distributing them will be just as important. 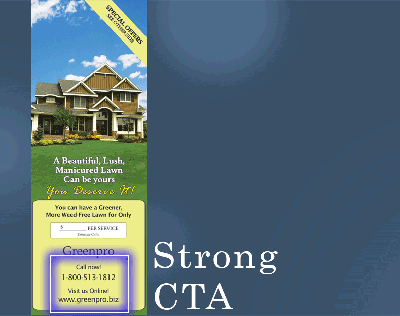 The reason for implementing door hanger advertising and marketing is to grow your business. As such, it is wise to start smaller and take an inventory of your results. When you find what works for your company, you can manage growth, and build upon each marketing campaign. 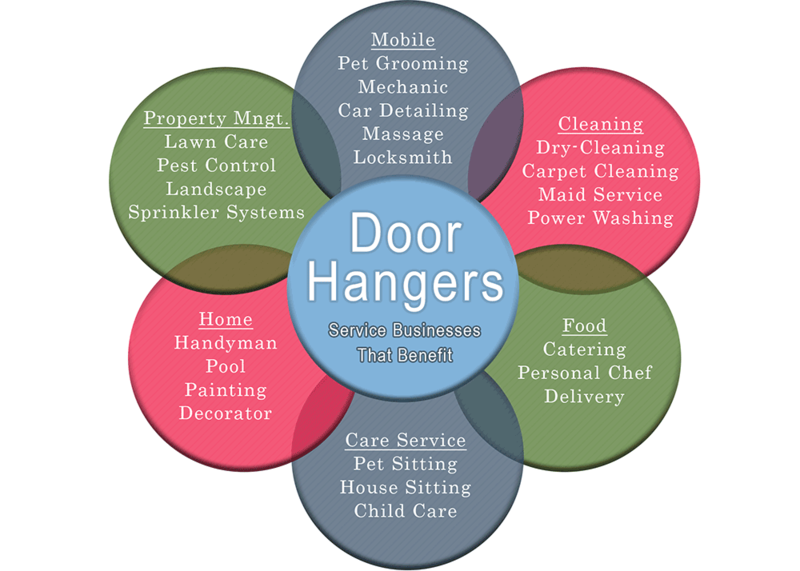 There are 3 methods to consider for distributing lawn care door hangers. This one is the easiest. Make sure whenever you deliver a product/service to your current customers, leave behind a door hanger, and one at nearby neighbors. This method involves hitting every home in a targeted area. Be sure that your product/service is something that has broad appeal and might result in a sale at each house. Good example: Pizza Delivery. Bad example: Pre-schooling. 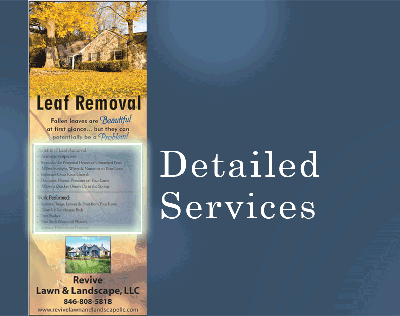 Canvass a target geographical area, delivering door hangers to homes where you can see a need for your service. Door hanger marketing and advertising is a great way to increase local business. We have discussed methods of offering a targeted message, to a targeted audience. Done correctly, this will help grow your business. Experiment with these tips today to improve your door hanger marketing results. What’s your #1 takeaway from the article? Have questions about Door Hangers?